It’s no secret that I love my granola, I make a batch of some sort at least once a week. 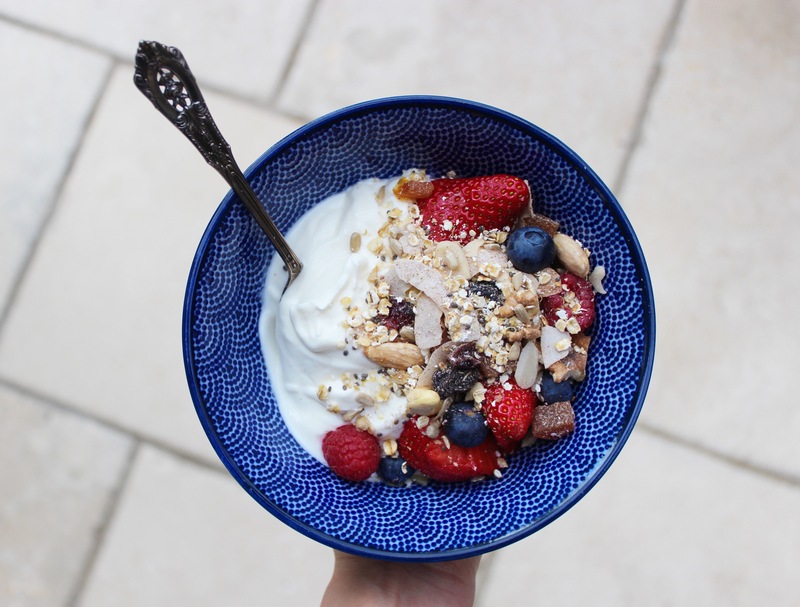 The difference between granola and muesli is that granola is baked and usually has some sort of fat (coconut oil) and sweetener whereas muesli is raw (or mostly raw in this case) and doesn’t need any oil or sweetener. 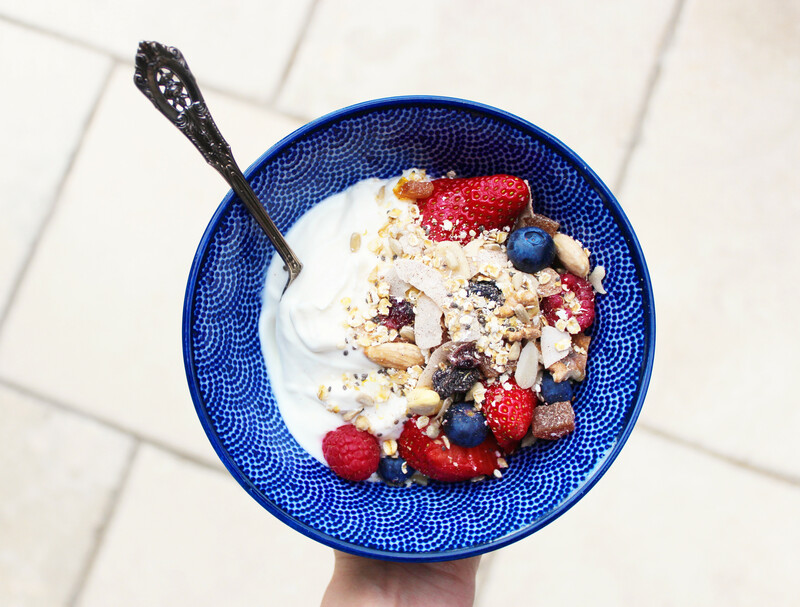 I had a real craving for muesli recently, I love the way it’s perfectly in between porridge and granola and it’s so simple to make. 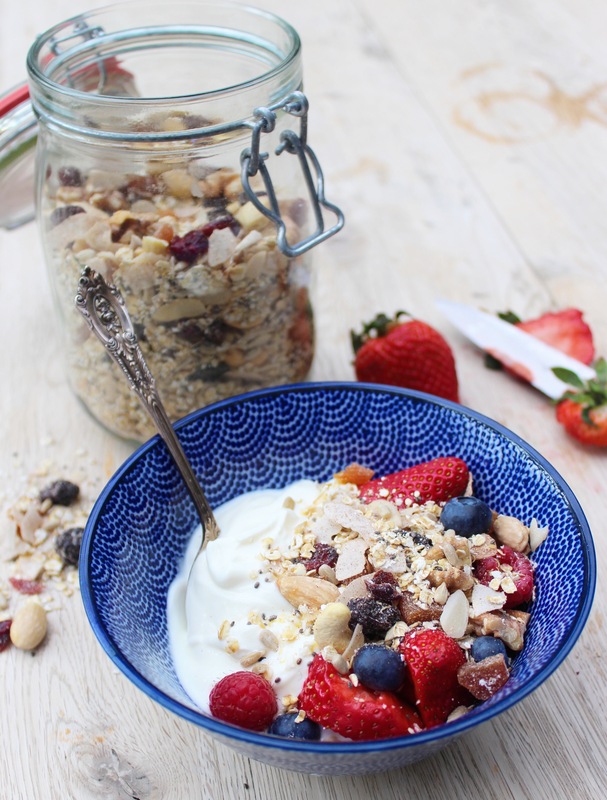 This Mojo Muesli is full of healthy fats and fibre and I’ve added quinoa flakes and chia seeds to boost the protein and omega 3s, it also has loads of extra flavour because I toast the nuts and seeds first. You can use your favourite nuts and dried fruit, just stick to the amounts stated. Roughly chop the nuts and then spread them out on a baking tray with the seeds and roast them at 180’C for about 8 minutes until golden. When they’re done, add them to large bowl and combine them with all of the other ingredients, mixing well. I am wondering for how long this muesli lasts, if stored in the airtight container recommended above?